The Internet of Things is already an awkward, overly confident adolescent learning to get along with the rest of computing society. When a 2005 paper asking for “Sympathy for the Sensor Network Debugger” was presented (Ramanathan et al., 2005), Juniper Network’s recent estimate of 38 billion connected things would have seemed farfetched. IoT is not new. The old: closed real time sensor-edge networks, distributed computing, loosely coupled heterogeneous networks, bridge-building across disparate domains, software that reasons about real world events. But a lot is new. Streaming data platforms (Paypal, Prometheus, etc), software-defined networks, ready access to cloud-based reasoning APIs. In this talk we take a whistle-stop tour of use cases around a single family of sensors: the smart humidistat (e.g, Ecobee Si, Honeywell VisionPro and FocusPro). We identify the issues raised by the use case family and suggest aspects of those issues best addressed by ontology-based solutions. We conclude by citing opportunities to integrate ontologies into model-based engineering approaches, highlighting lessons from the 2015 Ontology Summit (Underwood et al., 2015). Domain models are needed for chillers, data centers, refrigeration units, etc. Cross-domain models are needed to “import” external events such as weather or temperature, and to reason about time and duration in terms that make sense for a local context. Manufacturer-supported (or, for widely-adopted consumer products, crowdsourced) models are needed to address subtle, implementation-specific management of battery life, calibration, duty cycle, performance range and maintenance best practices. At the whispered-about edge of the conversation about IoT, ontologies can be integrated with simulation, test and resilience exercises. IoT likely piles a layer of added complexity over nontrivial enterprise applications. Existing software design life cycle (SDLC) practices aren’t much help. 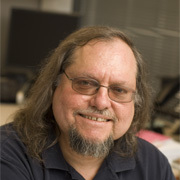 Dr. Leo Obrst is Chief Scientist for Cognitive Science and Artificial Intelligence in the CogSci & AI department of MITRE’s (www.mitre.org) Center for Connected Government (CCG), where he created and led, but now advises the Information Semantics Group (semantics, ontological engineering, knowledge representation and reasoning). He has been involved in projects on Semantic Web rule/ontology interaction, automated reasoning, context-based semantic interoperability, ontology-based knowledge management, conceptual/semantic search and information retrieval, metadata and taxonomy/thesaurus construction for community knowledge sharing, intelligent agent technology, semantic support for natural language processing, and ontology-based modeling of complex decision-making for situational awareness, command and control, cyberspace, information integration and analysis, intelligence and event analysis/prediction. His most recent research is as chief ontologist and chief computer scientist for a US Veteran’s Health Administration project on next-generation semantic health care records, and patient-centered clinical support, 2014-present. In 1999-2001, he was director of ontological engineering at VerticalNet.com, a department he formed to create ontologies in the product and service space to support Business-to- Business e-commerce. 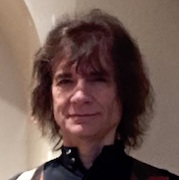 Leo has worked over 32 years in computational linguistics, knowledge representation, and in the past 21 years in ontological engineering and more recently (since 2001) in Semantic Web technologies. Leo is co-author (with Mike Daconta and Kevin Smith) of the book "The Semantic Web: The Future of XML, Web Services," and Knowledge Management, John Wiley, Inc., June, 2003; co-editor (with Terry Janssen and Werner Ceusters) of the book "Ontologies and Semantic Technologies for Intelligence," IOS Press, August, 2010; and has published many book chapters, conference and workshop papers (over 70 refereed papers) and many reviews. He has organized or been a program committee member on more than 75 conferences/workshops, including Formal Ontology in Information Systems (FOIS), Ontologies for the Intelligence Community (OIC), the Association for the Advanced of Artificial Intelligence (AAAI), and the International Semantic Web Conference (ISWC). He is a Senior Member of AAAI, and a long term member of ACM and LSA. Dr. Mark Underwood is the CEO and co-founder of Krypton Brothers LLC, a consultancy specializing in Big Data security, rapid intranet exploitation, digital forensics, software quality and domain-specific frameworks. Underwood has served as lead engineer or principal investigator on artificial intelligence projects for DARPA and for Army and Air Force research laboratories. Most recently, he is working with standards organizations to foster information assurance and provenance transparency. 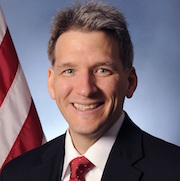 Underwood is co-chair of the NIST Big Data Public Working Group’s security and privacy subgroup, and was co-chair of the 2015 Ontology Summit focused on the Internet of Things. In 2014, he served on the workshop committee for the IEEE Big Data Conference and moderated several panels. He is a NIST Guest Researcher and currently serves on the ISO/IEC JTC1 Working Group WG9 on Big Data. Other standards and related work: Underwood is a member of the IEEE P 1915.1 Security for Virtualized Environments WG, working on a standard for SDN and NFV security. He is an ASQ Certified Software Quality Engineer. He has participated in reviews of audit practices in the HL7 PASS Healthcare Audit Services ad hoc committee and the 2016 version of the OMG Cloud Standards Customer Council ‘s Security Standards Whitepaper. In the forthcoming “White paper on Semantic Interoperability for the Web of Things” produced under the aegis of IEEE P2413, he drafted the section on API-first and microservices. Underwood is an advocate for patient-managed health information, including access to automated decision support systems. He is a professional writer whose emphasis is technology and health topics. In recent years, articles have appeared in The Daily Beast, CBS TechRepublic, and Drugstore News for sponsors that range from GE and the Annenberg Center for Health Sciences to Time Warner Cable. He has written recurring columns for Syncsort, Ipswitch and ADP. Underwood also plays electric violin and edits the sites PoetryandScience.com and BigDataStandards.com. Underwood M. Intranet Exploitation of Social Network Knowledge Intelligence. In: Chugh R, ed. Harnessing Social Media As a Knowledge Management Tool (Advances in Knowledge Acquisition, Transfer, and Management. Hershey, PA: IGI Global; 2016. Underwood M. Big Data Complex Event Processing for Internet of Things Provenance: Benefits for Audit, Forensics and Safety. In: Brooks T, ed. Cyber-Assurance for the Internet of Things. Hoboken NJ: Wiley; 2016. The use of semantic technologies has essential implications for information fusion systems solutions. An emerging development in high-level information fusion (HLIF) is the importance of the user for mission management, command and control, as well as process refinement. The ability of the user to be part of the systems solution supports low-level information fusion (LLIF) functions of object, situation, and impact assessment. Future technology designs will require coordinating the LLIF physics-based big data measurements with the HLIF human-derived information content. A semantic ontology is necessary for physics-based and human-derived information fusion (PHIF). The fusion of measurements and content should augment contextual understanding, refine uncertainty estimates, and provide robust decision support. This talk will provide trends in high-level information fusion, address developments in an uncertainty ontology, and provide examples of PHIF. Examples include unmanned aerial vehicle (UAV), multi-intelligence, and space situation awareness. Dr. Erik Blasch is a principal scientist at the the United States Air Force Research Laboratory (AFRL) in the Information Directorate at Rome, NY, USA. From 2009-2012, he was an exchange scientist to Defence Research and Development Canada (DRDC) at Valcartier, Quebec. From 2000-2009, Dr. Blasch was the Information Fusion Evaluation Tech Lead for the AFRL Sensors Directorate - COMprehensive Performance Assessment of Sensor Exploitation (COMPASE) Center supporting design evaluations in Dayton, OH. Dr. Blasch has been an Adjunct Electrical Engineering Professor at Wright State University teaching signal processing, target tracking, and information fusion. He is a member of the International Society of Information Fusion (ISIF) Evaluation of Technologies for Uncertainty Reasoning Working Group (ETURWG) Automatic Target Recognition Working Group (ATRWG), and the Dynamic Data Driven Applications System (DDDAS) community. He served as a member of IEEE Aerospace and Electronics Systems Society (AESS) Board of Governors (BoG), was a founding member of the International Society of Information Fusion (ISIF) (www.isif.org), and the 2007 ISIF President. Recently, he was the Chairman for the AIAA/IEEE AESS Digital Avionics Systems Confernce focusing on the future for Unmanned Aerical Vehicle (UAV) traffic management (UTM). He has focused on information fusion, target tracking, pattern recognition, and robitcs research compiling 600+ scientific papers and book chapters. He holds 10 patents, presented over 30 tutorials, and is an associate editor of three academic journals. He was a recipent of the Military Sensing Symposium Ledaership in Data Fusion Award, Fellow of SPIE, Associate Fellow of AIAA, and a senior member of IEEE. .